If you’ve never worn a “hip loading” upland vest, this will be the first thing you notice about a Wingworks Vest when you try it on (recommended with some weight in the vest). When properly loaded and adjusted, so the 2″ buckle is over the navel, and the bottom of the foam belt folds over top of the hips, only 25% of the vest weight should be on the shoulder harness. 75% should be on the hips and therefore thighs, the biggest muscles in the body. You’ll see photos or hunters in the field wearing them wrong, down around their waist getting no hip load and therefore missing out on the vests’ primary benefit. When we look at your measurements from the order form we’re concerned with mainly 2 things. We want to select the belt/shellbag combo that lands the shellbags under the shoulders on each side, and leave enough room up front for buckle adjustment between the ends of the 4″ foam belt. The harness size is also important, but it’s main role is to help keep the belt at the hip loading level. Long, narrow shellpockets allow them to be pushed off to the sides without giving up pocket size. This clears the chest and legs from interference with the main elements of the vest. We’ve removed size designations from the order forms because they were too confusing. The Vest has 3 main components, each with several sizes. We look at your numbers and mix and match those sizes to a vest we think will fit. We get it close most of the time, but if you receive a vest that doesn’t fit, contact us so we can help get it right. Often we can ship just one component of different size that will solve the problem. Wingworks Vests are built from stiffer, denser fabric that creates pockets and pouches with more shape and structure. This helps the vests keep their shape and function under heavier than normal loads for an “un-stayed” vest, as opposed to some of the vest/packs with structural stays. 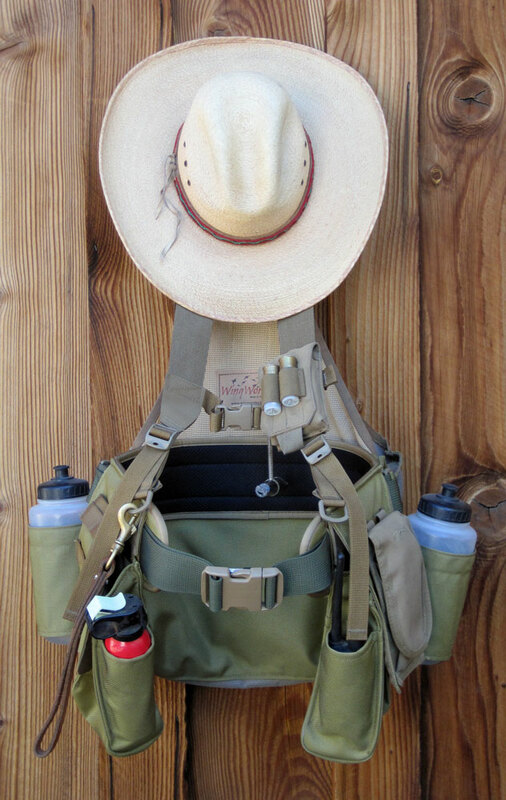 Still, there’s a comfort payback to balancing the loads in each shellpocket, and avoiding loose water containers bouncing around in the gamebag. Shotgun shells and water are heavy necessities on many hunts, and can be used to balance each other in the shellpockets. If you have more than 2 boxes in one pocket, consider balancing the load with the 54 oz WW Water Bottle. Another good place for a baggie of extra shells or extra water is the mesh pouch inside the gamebag against the hunter’s back. This location keeps heavy items from moving around and tight against the load bearing belt, close to the body. Filling this pouch with a small hydration bladder or 54 oz bottle full or empty will create a comfortable lumbar bump that is comfortable for many. Consider using the zippered rear cargo pouch for lighter, bulkier items because of it’s location away from the back. The strap base on the gamebag was meant for a light jacket, but we have hauled out a lot of shed antlers and other oddball items. We’re using an adjustable side release buckle on this strap so it’s faster to release and unload. We’ve stayed with a one point attachment because of how most items are lost, slipping out of the strap to one side or the other. Keeping each side longer seems to help prevent this. The sternum strap harness is a great stabilizer you’ll notice especially hiking side-hill. No worry about losing shoulder straps off the side, just keep going. 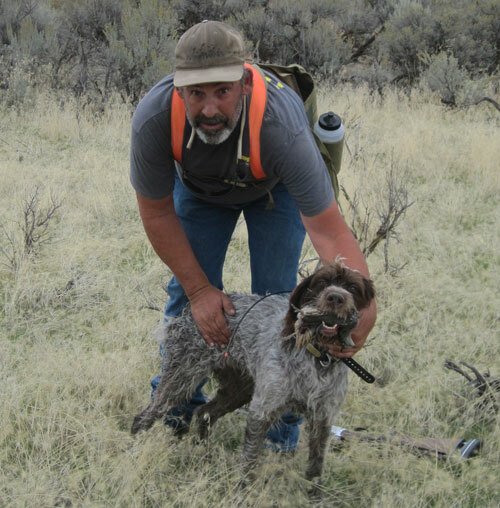 Buckle style does make a difference in adjusting a loaded vest and keeping the hip load while hunting. The Cam Buckle comes from the backpacking world where it serves the same function, and it faster to micro-adjust and tighten up against clothing changes in late season. The Side Release is a faster in/out of the vest and great when clothing stays the same. Just a bit harder to adjust, requiring 2 free hands. We have seen a combo Cam/Side Release concept buckle and hope to be able to offer it eventually as a standard.